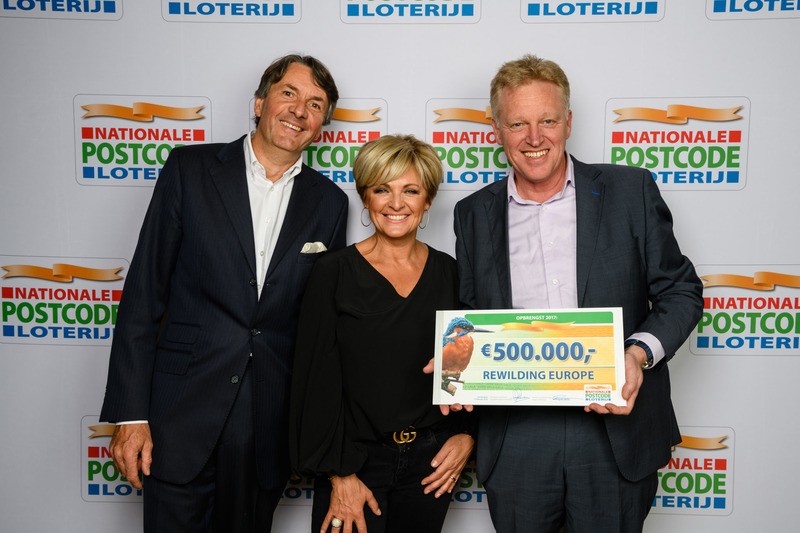 At the Annual Charity Gala of the Dutch Postcode Lottery, held at Amsterdam’s Carré Theatre on February 15, Rewilding Europe received a 500,000 euro donation towards its rewilding work across Europe. Wiet de Bruijn (Chairman, Rewilding Europe – left) and Frans Schepers (Managing Director, Rewilding Europe – right) receive the donation cheque from Caroline Tensen (Ambassador of the Dutch Postcode Lottery – centre) on February 15, 2017. Rewilding Europe first became a beneficiary of the Dutch Postcode Lottery in February 2013. In October 2016 the lottery decided that Rewilding Europe would become a regular beneficiary from 2017 onwards, and our initiative now receives an annual donation of 500,000 euros. This generous support enables us to develop and extend our network of rewilding areas across Europe, with wild nature, wildlife and local communities all benefitting from this new approach to conservation. 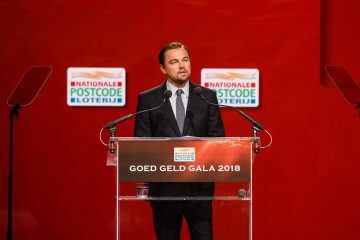 Dutch Postcode Lottery Goodwill Ambassador Leonardo diCaprio calls on people to work together to save the Earth. Special guest at the event was actor and environmental activist Leonardo DiCaprio. 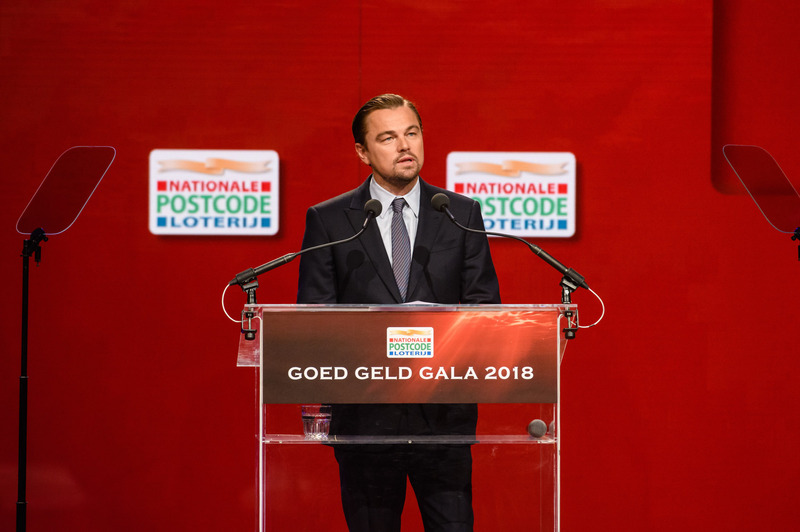 As a new Goodwill Ambassador of the United Postcode Lotteries, he spoke on behalf of the Leonardo DiCaprio Foundation about taking action on climate change, conserving wildlife and restoring ecosystems. Every year millions of euros in charitable donations are made possible by the 2.9 million people who participate in the Dutch Postcode Lottery (half the price of every ticket goes to charity). Increased revenues this year mean the lottery was able to give away 357 million euros to 112 non-governmental organisations. A full overview of all Dutch Postcode Lottery grants can be found here. Rewilding Europe would like to thank all lottery participants for making this donation possible. The Dutch Postcode Lottery has been raising funds since 1989 to support organisations working towards a fairer and greener world. It has grown steadily to become the biggest charity lottery in the Netherlands, disbursing over 5.4 billion euros to beneficiaries since foundation. 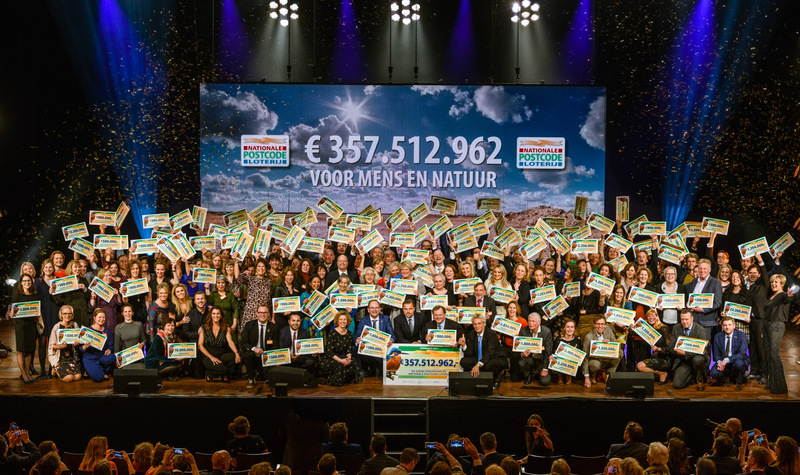 Just over 357 million euros were donated to 112 non-governmental organisations at the Annual Charity Gala 2018 of the Dutch Postcode Lottery.